Have I reached my target heart rate? Do I need to rest? Is my run being affected by barometric pressures? For effective training, it is essential to have easy access to accurate metrics to determine the status of one's condition and progress while exercising. With our wide variety of heart rate monitors, you will have all the knowledge to push yourself farther. For recreational athletes who require all essential heart rate and timing features. Helps..
For those who want basic heart rate-based features to keep their fitness training simple. ..
For endurance athletes and runners who rely on systematic training. Helps avoid ove..
For those who want to know if they’re improving their fitness or burning fat. The EnergyP..
For multisport athletes who require a wide range of performance information. Helps avoid ..
For the first step into heart rate-based training. 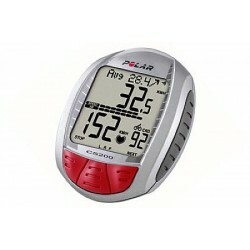 Shows heart rate on large and easy-to-..
For competitive cyclists who want to take their training to its highest level. Determines..
For recreational exercisers who want an easy start to fitness. Shows heart rate on large ..
For triathletes, runners and endurance athletes. ZoneOptimizer coaches you to train at th..
For goal-oriented cyclists who want more out of their training and performance. Measures ..
For ambitious cyclists seeking improved cycling performance. Extended memory records more..
For fitness cyclists who want to wear their training computer on their wrist or on their bike mou.. Description for For multisport athletes who want to achieve their absolute best in any endur..
For fitness enthusiasts who want to improve strength and cardio. Guides your strength tra..
For committed exercisers – the STAR Training Program tells you how much and how intensively to tr..